In 2007, the Canadian Real Estate Association launched the Canadian REALTORS Care® Foundation. Its mandate is to collect, share and promote information about the extensive community and charitable contributions REALTORS® make across Canada. The Foundation gathers information on community and charitable events in which REALTORS® are involved. We know there are many outstanding charitable programs across the country and this information is shared with Board and association members. Great ideas in one place are often the cause for doing something similar somewhere else. 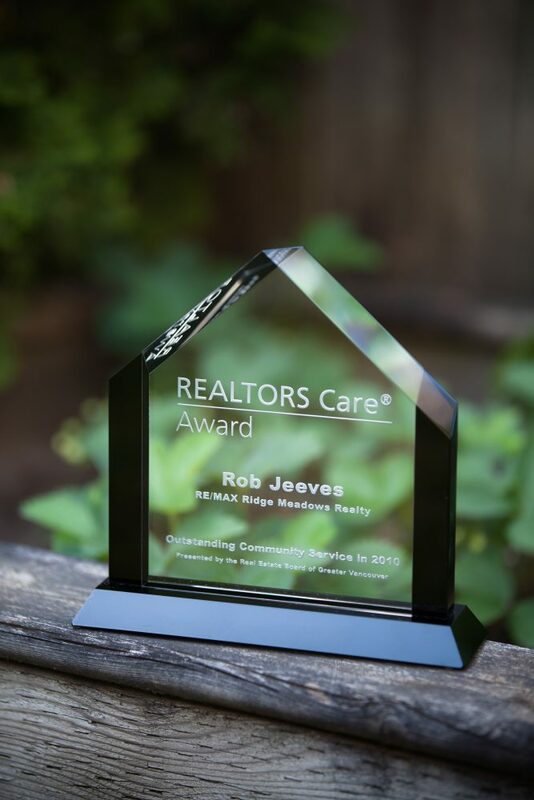 To see how REALTORS® across Canada help their communities, visit www.realtorscare.ca. This award recognizes the quality of our graduates and their contributions to the community. It also represents the calibre of the students that come to Douglas College, and the education, training and inspiration they received here. This award is presented at graduation each year. Douglas College will present its 2016 Distinguished Alumni Award to Robert Jeeves, co-founder of Drive for the Cure Foundation – a B.C.-based charity raising millions for the purchase of cancer-treatment equipment. The successful realtor studied Criminology and Construction Management in the 1980s at Douglas College. Following that, Jeeves joined his family business, followed by a stint at Sleeman Breweries, before turning to a career in real estate. In 2001, Jeeves and his friends founded Drive for the Cure Foundation in honour of one of a friend’s mother – Joy Anne Fisher. Since then, the foundation has raised more than $2.5 million for life-saving equipment, in addition to an endowment that has more than $855,000 in the fund. All of the events and fundraising programs are designed and run by volunteers, with zero funds going towards administration fees, Jeeves said. Drive for the Cure Foundation fundraises through a number of events, most notably, the Drive for the Cure Golf Tournament. Proceeds from these events are used to enhance the health, well-being and quality of life for those struggling with cancer. Projects undertaken by the Drive for the Cure include the purchase of special diagnostic and treatment equipment, provision of funds for a children’s program to assist young children coping with cancer in the family or the death of a parent or grandparent and the purchase of visual aids to provide patients undergoing treatments. The former Douglas hockey player is also active in his community through youth sports as a member and coach of Haney Neptune’s swim club and Ridge Meadows Minor hockey. A limited number of graduation awards are given in recognition of graduating students who have achieved a record of academic excellence at Douglas College. After you graduate, you can be nominated for the Distinguished Alumni Award, which recognizes the quality of our graduates and their contribution to the community. Past winners have included Olympic gold medalist Daniel Igali and poet Elizabeth Bachinsky.